Dozens of employees from Guernsey Electricity are receiving specialist training from St John Training Services to help reduce the risk of injury and strain. 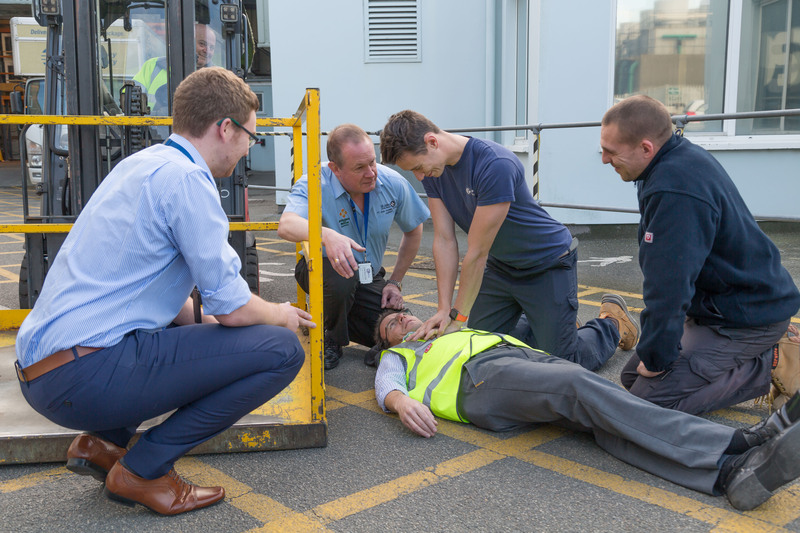 St John has agreed a three year contract with Guernsey Electricity, and so far 105 employees have received training in first aid and moving and handling. Fiona Naftel, Chair of training services for St John, said, ‘it’s great to see large local companies like Guernsey Electricity committing to providing employees with the basic health and safety training that can prove so important, especially in higher risk professions. ‘The moving and handling course provides delegates with important information about the causes of back pain, basic to complex positions and movements for handling objects and manual handling regulations. We have also looked at risk assessment and spinal anatomy. ‘All of the income St John Training Services receives goes to support the local ambulance and rescue service makes this an exciting opportunity for both parties,’ she added. ‘Guernsey Electricity places great importance on the health and safety of its employees. Lifting and handling forms a large part of what we do; this ranges from delivery and warehouse employees moving TVs and fridges to the engineers moving and lifting engines and parts for the giant diesel generators. Surprisingly one of the heaviest things they move and handle are the heating blocks for storage heaters,’ said Alan Bates, chief executive of Guernsey Electricity.